Our 20 Founder Members are a group of chefs, restaurants and suppliers we work with towards better menus and a more sustainable restaurant industry in the Cape Town region. We have chosen hotels, cafes, suppliers, bistros, fine dining, farm to table and speciality restaurants that all endeavour in different spaces to provide the best food they can for their particular market. 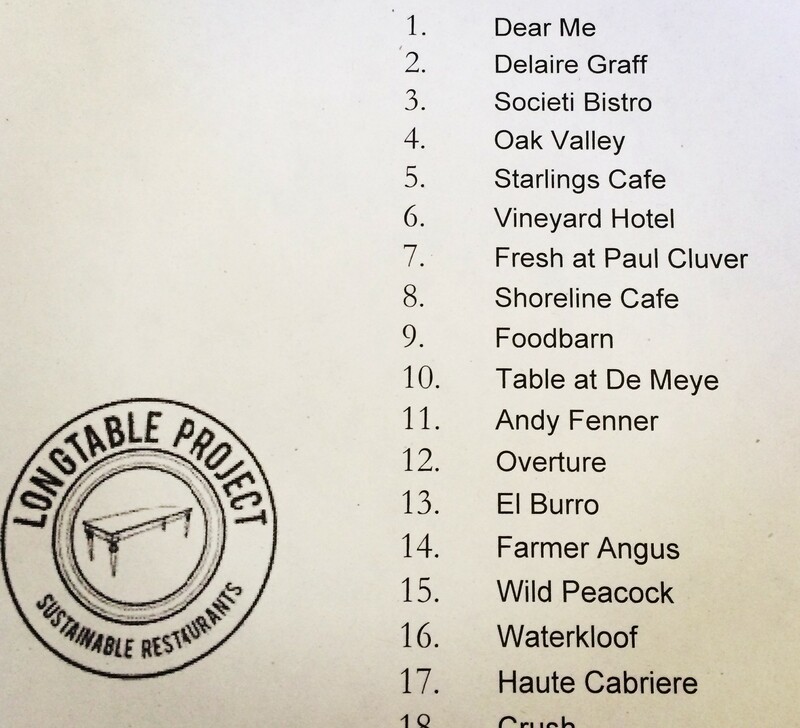 They have all been chosen by Longtable Project for their commitment to more sustainable menu choices and the personal ethos of the chefs and restaurant owners.